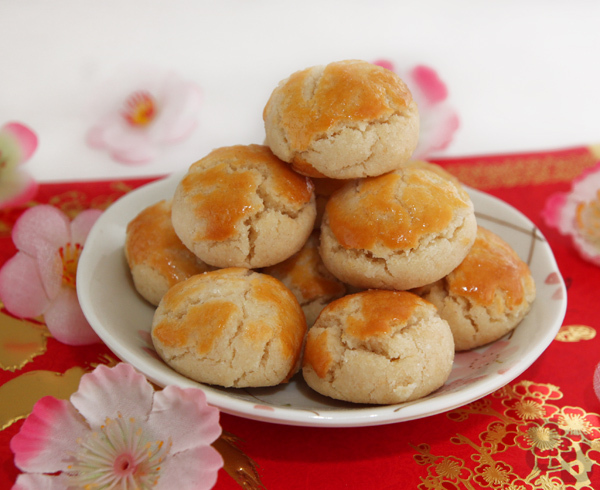 Here are some fantastic Almond Cookies for The Chinese New Year courtesy of Bread et Butter. I welcome you to join and subscribe. Also, I have a larger site that has 27 cooking groups on it and 206 members called “Cooking Up a Storm All Over The World!” I would love you to join! Your recipes are great! I found your site by using my vocal search on my Android Phone for Chinese New Year Recipes on WordPress.com. Most Malaysians equate Chinese New Year with a few important things = family, friends, FOOD, and well, food. And let’s face it, it wouldn’t be Chinese New Year without all those typical CNY cookies – pineapple tarts, peanut cookies… and so forth. I made some almond cookies last year, but wasn’t altogether pleased with their texture. You see, to me almond cookies should have a slight crunch, yet be slightly melty. 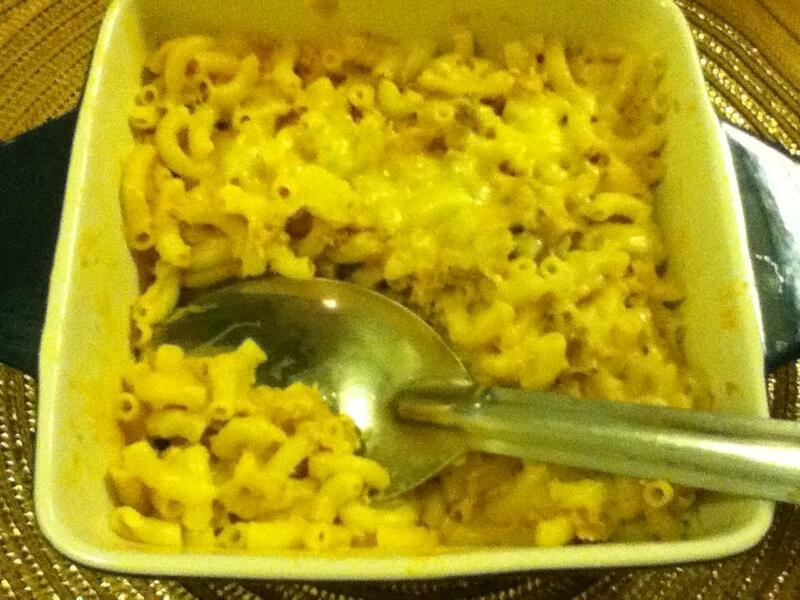 My version from last year tasted good enough, but it didn’t have much of that ‘crunch factor’. I know I’m being pedantic, but if you’re going to stuff yourself with cookies, it might as well be ones you love! Now there’s absolutely no excuse for skipping breakfast! 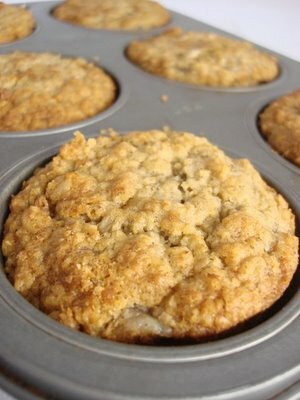 These muffins are like a portable bowl of oatmeal. The fruit is even included. AND… they are kid-tested and approved! This is a great base recipe. Make it your own, play with it, use your creativity. I often add walnuts, flax seeds, cranberries (dried or fresh), chocolate chips, any kind of fruit, whatever is in season. This is good clean eating. Enjoy! This beautiful and colorful Roasted Vegetable Frittata from What Kate Made Next will wake up your appetite and the colors will wake you up! This cookie is made with a simple readily available cake mix you can find in your local grocery store. I substituted olive oil for the usual gobs of butter in most cookies recipes, and only 1/3 cup gets used. Also egg substitute is used instead of eggs, so these have a lower cholesterol count, and no additional sugar goes into it other than what is in the mix. You can make these Diabetic Friendly by simply substituting a Diabetic Sugar Free Cake Mix.